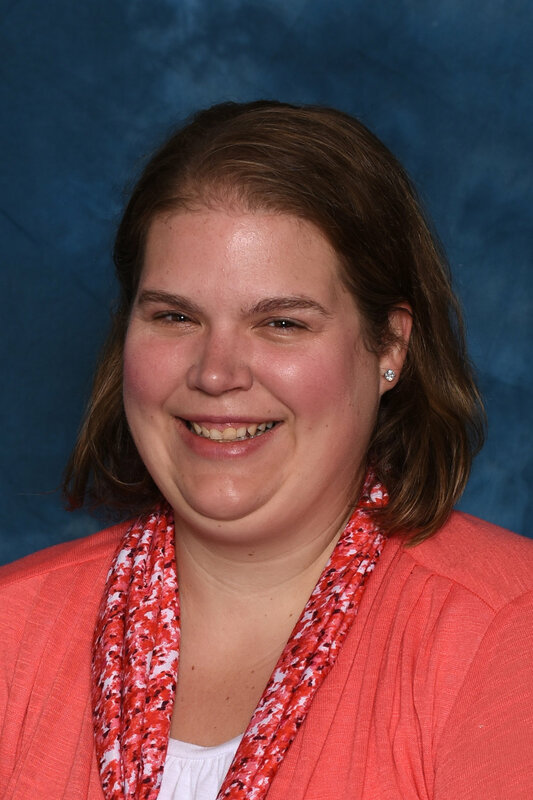 Mrs. Grischow graduated from the University of Wisconsin - Stevens Point and continually updates her education at MCC and through various trainings. This year begins her 11th year in Early Childhood Education, which includes teaching experience in young 3s, 3s, 4s and Pre-K. She has been married for 27 years and has three children, a dog named Emmett, a cat named Snowball, and nine chickens. Mrs. Mitchell earned her bachelor's degree in Elementary Education from Western Illinois University and is beginning her fourth year teaching at My Father's World. She has 2 children who both attended MFW, and are currently in 2nd grade and kindergarten. She previously taught in both public schools and in preschools before beginning her family. Mrs. Mitchell has always loved working with children and helping them grow. When she isn't in the classroom, she enjoys spending time with her family going on walks, snuggling up with a good book, and sewing/quilting. Mrs. Lieb is beginning her 4th year teaching in the 2's classroom. She has been married for 8 years and has a 6-year-old son who attended MFW, and a 1-year-old daughter. She attended Concordia University and continues her education through various trainings. She was a teacher at KinderCare Learning Centers before becoming a stay-at-a-home mom when her son was born. Mrs. Lieb has been a member of Prince of Peace for 18 years, and has witnessed first-hand many students who have been taught through our preschool. Mrs. Warfel earned her bachelor's degree from Augustana College and joins our school this year as a teacher in the 2's room. She has had two children attend My Father's World, and has been active on the Preschool Committee for 3 years. She is very involved in the Boy Scouts organization, where she and her husband share leadership responsibilities. Mrs. Brenner has been our two's room Co-Teacher since 2014 and has moved to the 3-year-old room this school year. She earned a B.A. degree from Valparaiso University and her Early Childhood Education Certificate from Elgin Community College. Before joining MFW, she worked at Westminster Christian School as a substitute teacher, and as a tutor in the AVID program for D-300 schools. She has two adult children and lives in Algonquin with her husband of 32 years and Marley, their 100-lb golden retriever. Mrs. Holvay is beginning her 3rd year as a teacher at MFW, moving from the 3's room to co-teaching in the 4's room. Mrs. Holvay is a graduate of Southwestern Michigan College where she majored in Early Childhood Education. She has worked in education for nearly 20 years, including preschool programs, before- and after-school programs. and summer camps. She is married with three adult children and three grandsons who are the joy of her life! Our staff is dedicated to our preschool and students. All teachers are CPR and First-Aid certified. Additionally, our teachers receive a minimum of 20 hours of in-service training every year to continually better their knowledge and stay current on new developments and ideas in Early Childhood Education .